Ghostbusters is returning to the silver screen in a sequel that will follow-up the original two movies from the 80s. 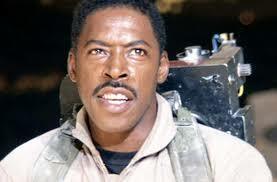 Ernie Hudson, who played Winston Zeddemore, says he hopes to bring audiences, old and new, a movie loyal to the original feeling that garnered the franchise its dedicated fanbase long ago. It couldn’t be a better time for the plans to be revealed, with this year being the 35th anniversary of the original movie. Hudson, Aykroyd and Murray are the three remaining members of the original Ghostbuster crew. Their co-star, Harold Ramis passed away in 2014 but Hudson believes he will be there in spirit. He said: “We miss Harold, because Harold was really the glue that I think held everybody together. “He was always my go-to point and anything that was a little bit weird, or whatever, Harold was the guy who would sort of say, "Ernie, just…" and explain the world to me.